YouTube music is now free with adverts, so premium is no longer a necessity. That and a router 'adblock' via a VPN might even be possible. Not sure about that. In Google home app, music settings, under the option of YT music, 'free service' comes up. If you do get vanced to work would be great to know. More like Spotify free I suppose. I'm new to this. Can you can youtube vanced to work on this? This is the best smart speaker you can buy and it's on sale, so it's a hot deal. Meanwhile there's deals going hot for 5p off yoghurts (embarrassed) This site is bizarre at times. Can it find phone for iPhones ? I can’t get that to work. Got one ordered with a code on eBay yesterday. Only chalk white are available at the moment. Delivery is stated as 15 May. Still plenty of codes available on eBay. Not much more to add, very good price for the larger size Google home. My second is being delivered today. Did the people struggling to get a code get it ok in the end? I'm just glad you didn't buy from me, though I would have checked. Fair play to you I guess if the seller didn't bother to check. Any advantage this has in comparison to amazon echo and show products? The Home also has better microphones. It's not just about comparing to bluetooth speakers. Amazon Dot has much better sound than Google mini. Use Alexa in Longe for Audible &amp; music to iron to &amp; Google in upstairs bedrooms in speaker group to stream same tracks &amp; anouncements &amp; alarmed through bedrooms to get people up in the morning. Yeah it's better but I still think it's poor compared to a decent Bluetooth speaker or the full sized Amazon Echo. That's why I'd save money and get the mini and and get a good speaker to go with it and that way you get much better sound for about the same cash. Yeah, I normally make time machine comments but I’m not paying £160 more for impatience. I’m gonna hold back til it gets close to £200. Yes they are great, but I would hold out rather than buy at this price, it's like 75% more than it was then. This was like £199 from Google with 6 months YouTube Music about a month ago. That only brings up a £30 reward card on BT's site though? Never miss a 'Google Home' deal again! I think because it was already posted. But still, thanks for sharing! I really want one but, I'm sure the price will go down even more if they are announcing something new after summer. Probably worth the wait. Google home max, damaged box from Currys. Misunderstanding. I have used it before, but for some reason, possibly as an Australian eBay item, it does not qualify. No deal breaker, I am possibly just looking for any reason NOT to buy it. HUKD has cost me a fortune this past wee while! It should be somewhere in the settings menu, probably under audio I would guess. I have absolutely no idea to be honest, do you know where I may be able to find that out? Does your TV have any adjustment to sync any audio lag?, I used to use a blluetooth sound bar with my television and that worked fine. Rumoured new version coming out! Every retailer has dropped these to this price! Well a fair few have!! Why are these so cheap suddenly? Expired! This price is not available anymore, anywhere! Where's it supposed to be? I've set up the device, tap 'Choose a music provider', on tapping YouTube Music it says premium is rewired and offers a link, tapping the link opens the YouTube app to a screen which doesn't mention the Max but offers a 3 month free trial. Which is much better than ending in April. Discontinued? It's still selling on Google store, this is just out of stock. 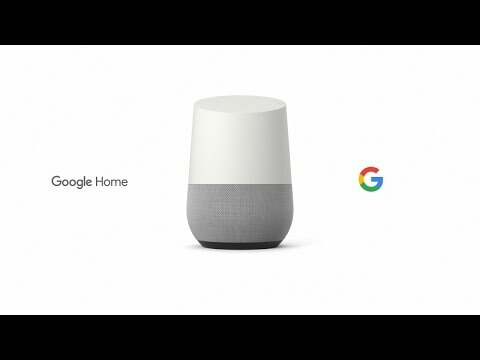 I'll be very surprised if Google released a new one before updating the Google home and Google minis. That’s a good thing. They opened a credit account for me without my permission! (mad) And many other bad experiences with them. They are on my blacklist but then so is Argos on any item over £200. I bought one a couple of days ago - thanks for posting OP! I think the deal has expired now. Quality will depend on the turntable/preamp combo: Most turntables have a PHONE output signal and you'll need to convert it to LINE.So if that is not built into your turntable you'll need a phono preamp. Not sure why this would be used to play records, surely people who have a good quality turntable already have some Hifi amp and speakers so will just keep using those? A Google Home Max is smaller but seems fiddly. Has anyone connected a turntable to this and compared the sound quality with Spotify / tidal? Just wondering if there's a noticeable difference? After doing a side by side with 2x Sonos Ones and a Play 5, its not as clear sounding generally and bass isnt as clean/punchy as the Play 5. 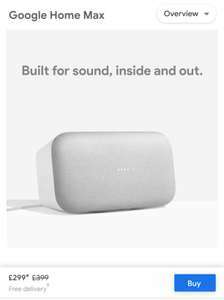 Personally I prefer either of the Sonos, however for £200 this sounds much louder than a single Sonos One so vaule wise its fantastic. Set set mine up this morning - really impressed by the sound and have never had a smart speaker before. I paid £184 after company discount and that is a bargain for this speaker IMO. Google Home is a collection of speakers which fit into the web giant's range of smart devices. We call them “smart” because they incorporate a variety of advanced technologies, including voice activation and Google Assistant, but they can also control other smart home appliances, such as thermostats, lights, or even fridges. There are a number of Google Home devices to choose from, and everyone's needs are slightly different. So we've put together a buyers guide to explain the range and point you to the smartest possible purchase. Smart homes have been imagined for decades, but are now becoming an everyday reality. The dream of controlling all of your devices from one central location via voice activation was once the preserve of sci-fi. But thanks to Google Home and competitors like Amazon Echo (which we'll consider later), this technology is nowadays freely available. The first Google Home devices came on the market in spring 2016, in the form of the standard Google Home speaker. With its stylish form and advanced interior, the first Home device instantly showed how promising smart tech could be, and since then it has proved a massive hit with homeowners across the world. At first, the speakers could only operate alone, and in a single room. However, in 2017 that changed with a firmware update. After that, users could connect multiple Home speakers, and stream music to all of them. So you could walk through your home and hear a track from start to finish, over 5 or 6 speakers, with no alteration in sound quality. Extra features have been added since, such as hands-free phone calls and the ability to recognise multiple individual voices, while the calendar and reminders function have been refined, and Bluetooth added. And the range has also been miniaturised, with smaller Home Mini speakers hitting the market, not unlike the Amazon Echo Dot. Finally, in late 2017, the range received a boost with an enlarged device, aimed at home cinema fans and genuine audiophiles. How Does the Google Home Audio System Work? Google Home is much more than a set of interconnected speakers. It works by linking traditional audio technology to Android apps, via wireless Bluetooth technology. In its basic state, this allows users to stream audio from online services like Spotify, Deezer, Google Play, YouTube, or Netflix. Despite using Google's own apps, Google Home does not require users to own an Android phone. But you will need a device equipped with Android 5.0 or higher, or an Apple device running iOS 10 to get the app working. Computers and Macs aren't compatible with the system, which may be a stumbling block for some users. When you've set it up, the system runs via the Home App, which links everything together. It can talk to home lighting systems, washing machines, temperature controls, security cameras, baby monitors, radios, TVs, cable boxes, games consoles, and kitchen appliances. 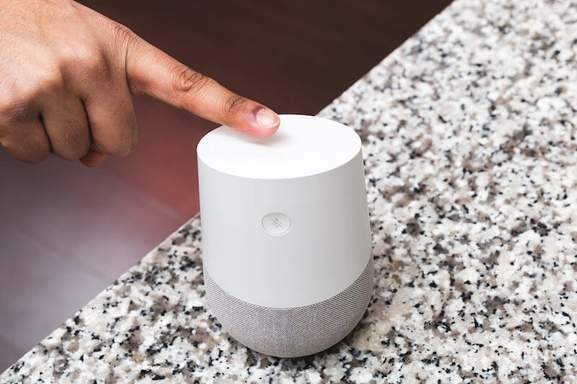 And it also runs Google Assistant, which lets you make Google queries via voice activation, or make telephone calls on your mobile. Every command is processed by dual microphones in the casings of the various speakers, which have a variety of ranges, so check the distances if you need to place one between your bed and your TV, for example. And the mics can be muted if necessary, effectively suspending Google Home functionality. Instant audio playback from Bluetooth enabled stereo systems or smartphone apps like Spotify, Google Play, YouTube, or Apple Music. Voice-activated help from Google Assistant, providing access to Google search results and AI-powered answers, on almost any question you can imagine. The ability to ask Google to initiate phone calls via your smartphone. Voice-activated or manually controlled volume for playback and conversations. Smart tech capabilities, enabling you to precisely calibrate the temperature in your home or the brightness of your lights with a simple command. Personalised alerts and calendar tools which can synchronise with your Google account, providing updates for work and personal events. Set up schedules and grouped commands to carry out daily tasks or pre-schedule playlists and actions. Links up with Chromecast to enable streaming from online services like Netflix or BBC iPlayer to Smart TVs, with Google Home providing high-quality audio. Access audiobooks from a huge range of authors and take phone calls without losing your place in the story. Calendars and schedules can be made even more personal with Voice Match, which recognises individuals. Broadcast voice messages between different Google Home devices, allowing easy communication between locations in the home. Pass the time with general knowledge quizzes, wordplay or music identification challenges. What Can You Use Google Home Speakers For? As you can probably tell from the feature list above, Google Home is a seriously useful product for all sorts of people. For example, families can set up a number of speakers across the home. That way, they can stream their own styles of music wherever they are, and family members can communicate in an instant without shouting. If you get your entertainment from online streaming services and don't want to pay for a box or satellite-based alternatives, Google Home and Chromecast are the ideal solution. You can just stream straight from apps onto TVs, and enjoy very high-quality sound in the process. Anyone with a hectic schedule and stressful mornings can benefit from using Google Home to keep things simple. Relax with a morning music mix, program alerts to avoid missing crucial meetings or birthdays, and wake up knowing everything is taken care of. Music fans are obviously a huge part of the target demographic. 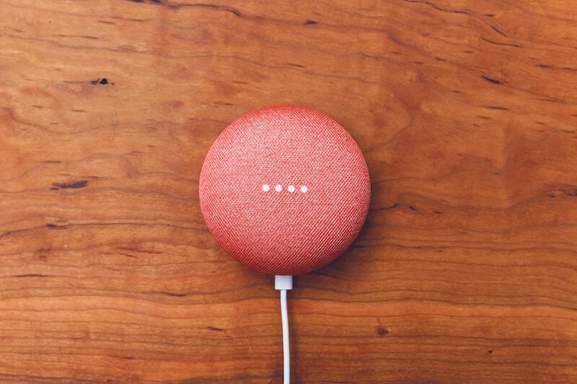 A big part of the appeal of Google Home is the ability to stream vast libraries of music, making the world's finest albums and tracks available with a simple voice command. A few years ago, we would have thought that was incredible. Now it's affordable, easy to use, and ready for action. Google Home – The first Google Home product, the standard speakers measure 96 x 142 mm and have a rounded top surface. This features a touchscreen interface, which lets you turn on the speakers and calibrate the volume. They come in pure white with a slate fabric panel, and rely on 802.11b/g/n/ac wi-fi to link together devices. Inside, dual microphones make sense of the user's voice and connect with Google Assistant. 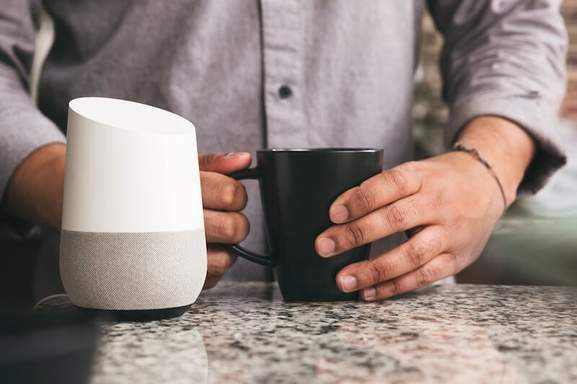 Google Home Mini – Arriving soon after the standard version, Google Home Mini is, as the name suggests, a far smaller device. In this case, the device measures just 42 x 98mm and weigh in at a tiny 173g. With that reduction in size comes a moderate decrease in power, but the 40mm driver still delivers impressive audio performance. As with the Amazon Echo Dot, this version looks a little like a hockey puck, and it's much cheaper than other speakers in the range. So you can hook up a number of them and create networks around the home. Google Home Max – Unsurprisingly, this variant is a super-sized smart audio device. Measuring 336.6 x 190 x 154.4 mm and weighing in at 5.3kg, it's a hefty piece of kit, and resembles a rectangular pebble, adding to the appearance of solidity. Inside, this version is much, much more potent than the other two smart speakers, boasting a couple of woofers and tweeters, as well as a whopping 6 directional microphones. This extends its range considerably, making it ideal for larger open-plan downstairs rooms. 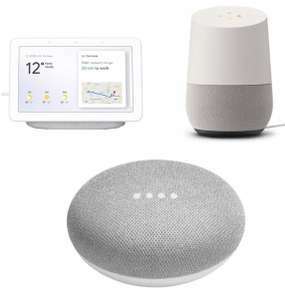 Google Home Hub – Not really a pure audio playback device, this device adds a completely new dimension thanks to its 7-inch touchscreen. In terms of audio quality, don't expect the clarity and depth available in the largest Google Home speakers, but do expect very good performance for a mid-range smart device. The key difference here is that the screen allows you to mix visual and audio playback. So you can watch YouTube on the screen and use the speakers at the same time, or catch up on current events and your favourite tunes without skipping a beat. Which Google Home products should you go for? Well, it all depends on what you need. If you are more concerned with creating a widescale audio and smart network across your home, smaller Home devices will be preferable because of their lower cost. If you want to create a formidable home streaming system for movies and music, maximising the size of the speakers makes sense. And if you want full control and video functionality, the hub is an excellent choice. However, many people will end up mixing and matching, and there's no reason not to. You can add together different devices, creating the ideal system for your needs and accommodating whatever budget you have to work with. Google Home isn't the only option for people who want to “smarten” up their home. As you'll probably know, Amazon has its own set of smart audio and communications products, which have attracted a similarly large following. In terms of price, there isn't a huge amount to choose between them. If you want to add the smallest item in either tech company's range, it will cost around £50 per device, increasing to £80-90 for the mid-range option. At the high end, Google's products tend to be slightly more expensive, but then they are a little more feature-rich, so that's no surprise. Generally, most experts rate Google Assistant more highly than Amazon Alexa in terms of complexity. While Alexa is good for playing tracks, she can become confused by more complex queries, and Google have the edge here, for now. It links seamlessly to tools like Google Maps, and works with Pixel phones as well, so in this area you'd have to say Google are supreme. What about smart technology? Both companies have partnered with smart tech manufacturers to provide impressive compatibility, so that's not an issue. If anything, slightly more manufacturers take Amazon as the standard, but the gap is closing. Eventually it won't be a factor at all. Vast music libraries are available for both smart systems, but Google has one major advantage when it comes to entertainment: Chromecast. This means that you can stream content from your phone to a TV, but add in voice activation. So you can shut off playback or change the volume with a command. However, there really isn't a huge amount to choose between the two systems. In reality, they are converging rather than diverging, with both companies offering very similar choices of speakers and tools to go along with them. Smart Plugs – These handy tools look just like standard plugs, but are actually much more useful. They can be used with almost any normal appliance, but interact with smart technology, allowing you to turn those appliances on or off at will. 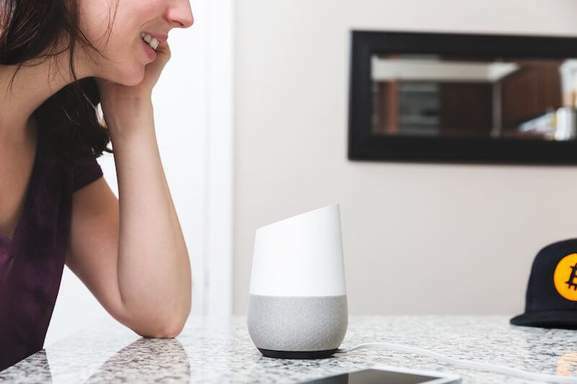 Wi-fi Cameras – If you want to create a budget security system or keep track of your baby, affordable smart cameras can be added to Google Home networks, giving you instant feedback to smartphone screens or hubs. Wall Mounts – If you don't want to leave your speakers hanging around loose on worktops or shelves, these wall mounts can let you hang them on the wall instead – which isn't just more ergonomic, it can also deliver better sound quality. 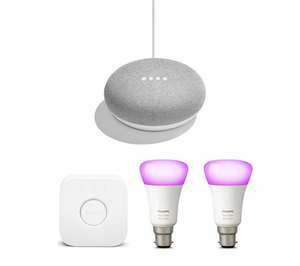 Motion Sensors – Smart lighting systems like Philips Hue include plug-in motion sensors which can turn on lights when you enter certain parts of the house - great for midnight snacks or trips to the bathroom. What Voice Commands Can be Used with Google Home? Broadcast – By starting speech with “Okay Google, broadcast” you can send messages to all speakers in the home. Call – Call allows you to make free phone calls via Google Home to any landline or mobile phones, as long as the target is a contact on your account. Let's Play – Google Home includes a range of games such as Ding Dong Coconuts, the Pilgrim and the Guardian, or Mad Libs. Just say “let's play” and the name of the game, and you'll be ready to play. Virtual Nurse – By saying “Google talk to the Virtual Nurse” you can access a helpful selection of medical knowledge. It's not a substitute for professional medical help, but it can be a good start. Timer – Say “set timer for “x” minutes” and you'll receive an alert when the time's up. Create Appointment – As you'd expect, this command creates an alert for a certain event and time, so you won't miss crucial meetings or appointments. Google Home is part of a revolution in the way we organise our homes and lives. Much more than just an audio product, this series of speakers incorporates smart technology, putting us in control of our environment, entertainment, and social lives like never before. However, if you want to put together a collection of Google Home devices, it won't come cheap. But there are plenty of ways to soften the blow. First up, decide what scale of setup you need. Not everyone will need the largest Google Home speakers, but you might if you love high-quality audio. And not everyone will need five smaller speakers dotted across their home, but those with larger spaces to fill and bigger families may well do so. So plan your needs. And if you can't buy it all now, go slow. You can add speakers as and when your budget allows. When you know what you need, head to the HotUKDeals Google Home listings. Our pages feature the latest deals from UK tech merchants like Argos, Currys, John Lewis, AO.com, the BT Shop, and even specialist retailers like Toolstation. You'll be surprised by how many discounts are available, driving down the cost of whatever speakers you need.  And time your purchases to find the lowest prices. If you want to buy a number of devices, Black Friday is the ideal time to do so, but the Boxing Day and January New Year sales are also a great time to go bargain hunting. In any case, use our listings to make the perfect purchase. We've covered every seller around, so there's no better place to track down tech deals. Google Home offers a variety of audio speakers with a difference. Mixing high-quality audio capabilities with smart technology, these voice-activated products let you control lighting, heating, security systems and TVs without lifting a finger. If that sounds good to you, update your tech with a Google Home purchase using the deals and offers from hotukdeals.